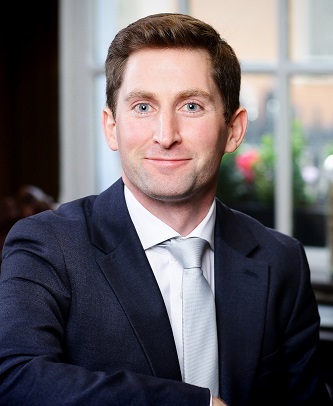 Dr. Derick Mitchell is the Chief Executive of IPPOSI. Derick has over ten years experience of working in patient involvement, multi-stakeholder management, scientific communications and advocacy at both the national and European level, and has a strong interest in the area of patient and public involvement in research. Derick leads IPPOSI’s participation in the European Patients Academy (EUPATI), an initiative which is training patients to become involved in the medicines R&D process, and has spread the IPPOSI public-private partnership model to over 20 countries. 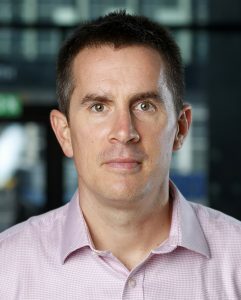 Derick is a member of a number of national and international boards including the EHealth Ireland committee; the oversight committee for the National Rare Disease Plan; the Medical and Life Sciences Committee of the Royal Irish Academy, the International Advisory Board of the HRB-Trials Methodology Research Network; the HIQA Research Ethics & HTA Advisory Boards, among others. Derick graduated with a BSc. (Hons) in Biotechnology from NUI Galway (2000) followed by a PhD in Molecular Medicine from University College Dublin (2004). Outside of IPPOSI, Derick spends his free time attempting to influence his two young daughters. Ken Rogan has been working in healthcare communications and public relations for ten years, during which time he worked for Wilson Hartnell PR, Carr Communications and as a freelance communications consultant. At every stage of his PR career Ken worked with healthcare organisations and companies including the Irish Health Services Accreditation Board, the HSE, the National Children’s Hospital Tallaght, the Rotunda Hospital, An Bord Altranais, Pfizer, GSK, Roche, Novo Nordisk, Teva Pharmaceuticals, Sanofi (where he was the in-house public relations manager) and Bayer. His work with industry has brought him into contact with many patient organisations including the Irish Heart Foundation, the Irish Cancer Society, NCBI, Fighting Blindness, and the Diabetes Federation of Ireland. Before working in PR and communications, Ken worked as a freelance journalist and sub-editor with the Irish Daily Star, and the Irish Examiner and he has contributed articles to the Sunday Independent and the Irish Times. Laura is the Research & Advocacy Officer in IPPOSI, with responsibility for developing evidence-based health policy positions and recommendations related to improving equitable patient access to health innovation. Prior to her current role, Laura spent three years as the EUPATI National Platform Coordinator, based in IPPOSI. Prior to this, Laura spent two years providing research and policy advice to Liberal Democrat councillors in London. Before moving to the UK, she worked on human rights and governance programmes with international organisations including the United Nations (UN) in Uganda, the Organisation for Security and Cooperation in Europe (OSCE) in Kosovo, and the Council of Europe (CoE) in Strasbourg. Gemma joined IPPOSI in 2017 as the EUPATI ENP Coordinator, bringing over 12 years experience in strategy and project management. Gemma’s role involves coordinating over 20 IPPOSI-like entitles all over Europe, as part of the EUPATI programme. Her expertise lies in strategy development and implementation, campaign management and key leadership and stakeholder advocacy and engagement. As a senior business development and marketing professional, Gemma most recently led the Strategic Networks Programme at PwC Ireland. Prior roles have seen her lead PwC Ireland’s digital strategy along with various internal change projects. 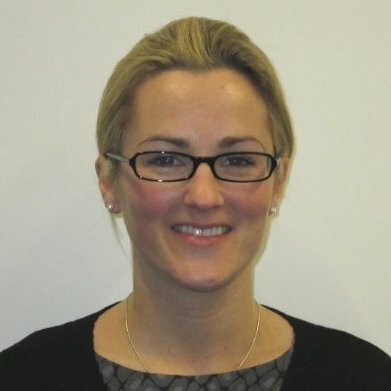 She is also a qualified tax consultant with over 8 years experience leading large scale projects and working with global clients across Ireland, UK, Europe and North America, having spent 3 years working in Canada. 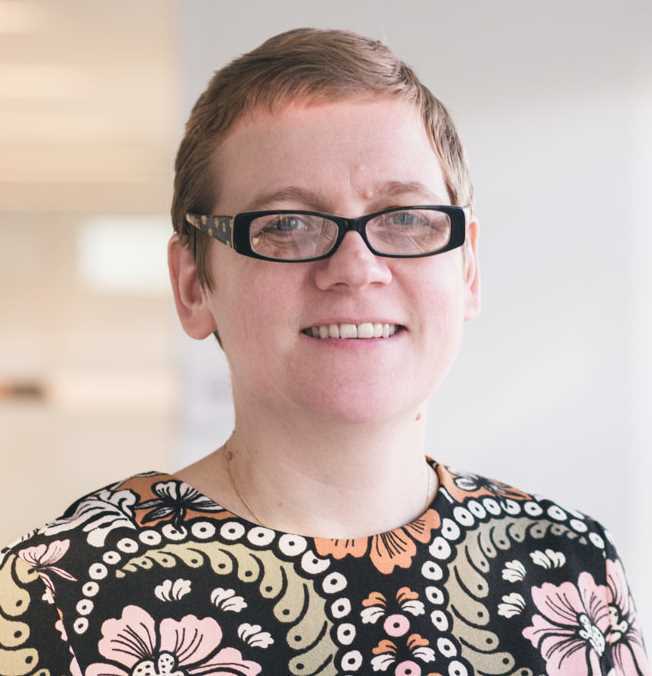 Having had first hand experience of the expert care at Our Lady’s Children’s Hospital Crumlin, Gemma is passionate about linking her strength in project management to her passion for patient care and the delivery of patient-led health policy in Ireland. Gemma graduated with a Bachelor of Business and Legal Studies (BBLS Hons) from University College Dublin (2003). She is a qualified tax consultant (AITI) and has a Diploma in Digital Marketing. When she’s not working, Gemma is a twin mom who loves to take on a challenge – from running a ultramarathon, completing a triathlon or learning to trade futures. 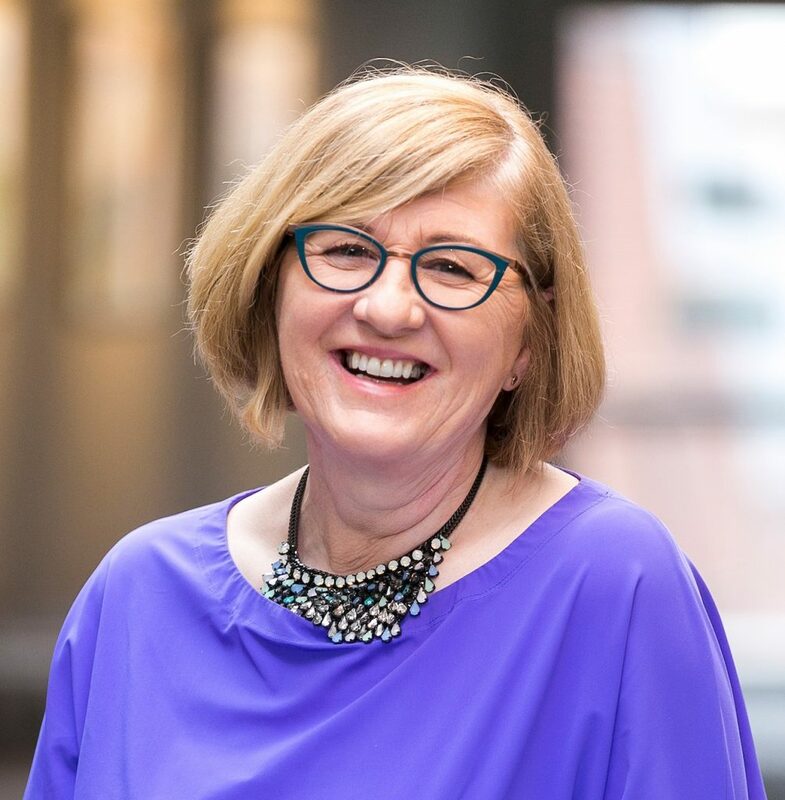 Mel’s career has involved ‘Start-Up’ Business development, Project Management and all aspects of Office Systems Management including human resource management, financial systems management and logistics and supply chain delivery. Mel has extensive experience in successfully incubating new ideas and delivering profitable business solutions. Being fiercely interested in the impact of food on health, over the last decade Mel successfully developed, marketed and operated a niche catering business specialising in a premium health-oriented product offering, which included; a private catering service, delicatessen and 70+ seater restaurant. Joan Jordan has made a lot of life changes since she was diagnosed with Multiple Sclerosis in 2010. She is a Computer Science graduate, having previously worked across the globe for over a decade on IT projects. She completed the EUPATI training course in 2016 and her special interests are in statistics, pharmacoeconomics and pharmacovigilance. Since her diagnosis, Joan has taken up many new challenges, including blogging. In 2016 she was announced as Multiple Sclerosis Ireland Person of the Year. She is a regular contributor to the award-winning MS Ireland blog team and is a shift.ms citizen reporter. She has also spoken at many events and is currently producing a book aimed at the newly diagnosed. Joan wants to help make life better for the 9,000 Irish people living with MS and wants to use her experience in I.T., her participation in a clinical trial, her communication skills, her time living abroad and most importantly – knowing what it is like to live with an illness for which there is currently no cure to help find one. She believes that the patient has an important role to play in this challenge. Nothing about us without us! 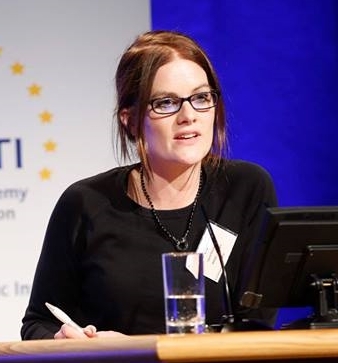 Caroline Whelan joins the IPPOSI team as the EUPATI National Platform Officer, bringing over 20 years’ experience in scientific research, policy and project management. As a Senior Scientific Officer she worked in the Research and Policy Affairs team at Science Europe, a Brussels based association of European Research Funding and Research Performing Organisations. Although interested in many and diverse policy topics, she had a particular focus on Horizon 2020; Energy Efficiency; Defence Research; Citizen Science and Biodiversity. Previously she had worked as a Science Officer at COST (Co-Operation in Science and Technology), an intergovernmental organization funding networks in science and technology. She was responsible for the fundamental and applied Materials, Physics and Nanosciences Domain as well as trans-disciplinary topics. Prior to these roles, she performed and managed research as a Senior Scientist and Research Project Manager at IMEC, the largest independent nanoelectronics and digital technologies research centre in Europe. Caroline graduated with a BSc. (Hons) in Analytical Science from Dublin City University (1994) followed by a PhD in Chemistry (1998). Marie Boran joins the IPPOSI team as Patient Education Programme Coordinator, with a responsibility for overseeing the 2019 blended-learning programme. Marie comes from a background in PEST (public engagement with science and technology), having received an MSc. in Science Communication from Dublin City University in 2011. 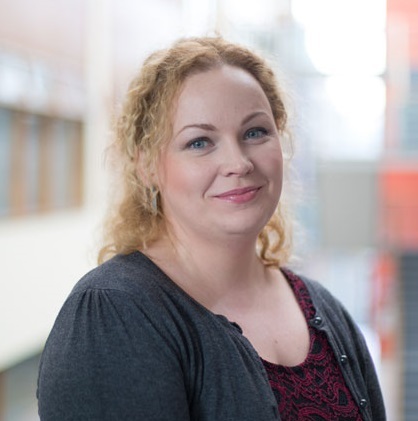 She also has a masters by research (scholarly use of social media) from the National University of Ireland, Galway and is currently pursuing a PhD on online science audiences at DCU. Marie has teaching experience at a university level, having developed and delivered several modules across science communication and journalism. She also has over a decade of experience in science and technology journalism. 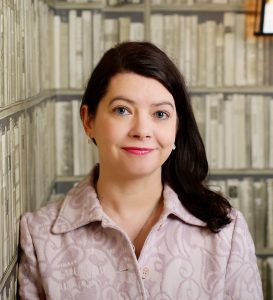 She has written for Silicon Republic, the Irish Independent, the Sunday Business Post, and currently contributes to the Irish Times.